Please contact the owner @ 651-354-3130 or skrogers@frontiernet.net . 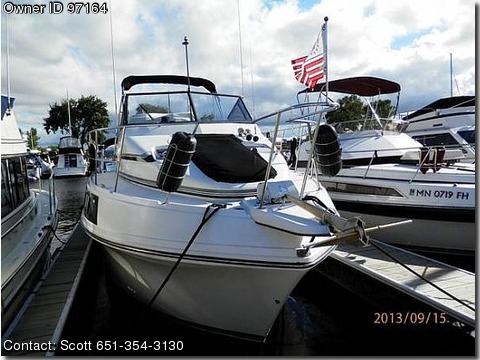 This 1990 Carver 32 Mariner has been updated with new carpets, window treatments, new upholstery and many other upgrades. The boat has had the hull conditioned with 6 coats of Interlux InterProtect 2000E and 3 coats of bottom paint. Owners looking for a larger boat, so slip is also be available for purchase.